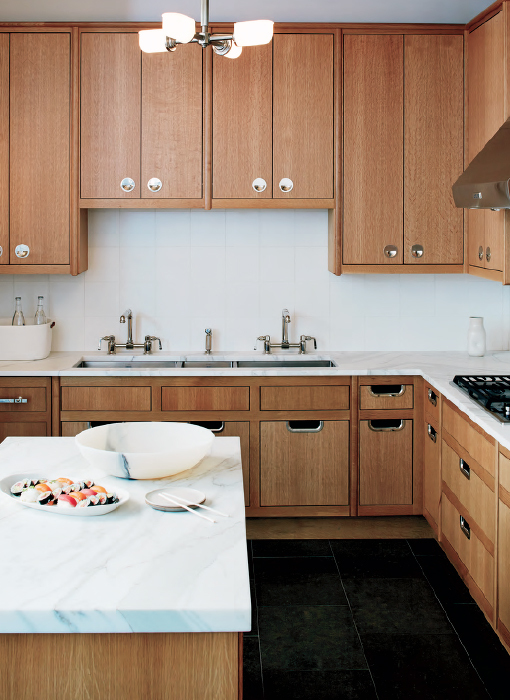 Above: Belden cabinetry designed by Steven Sclaroff for Waterworks Kitchen. 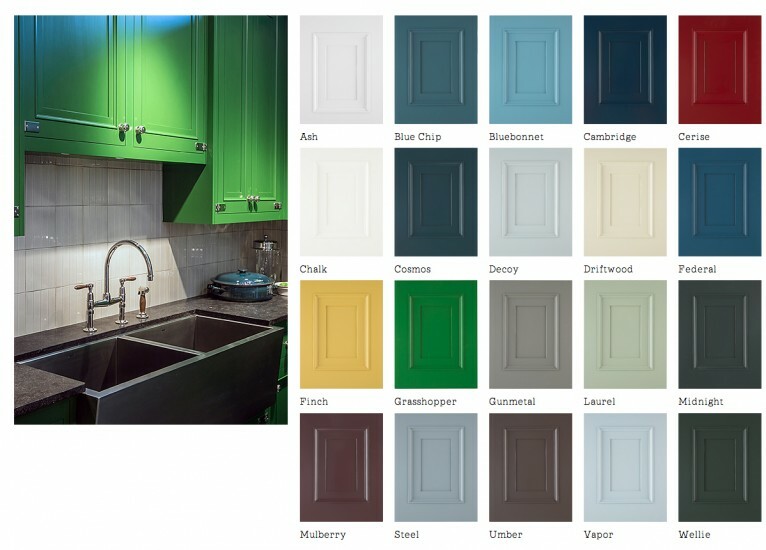 The classical Belden range of cabinets, with its simple cove molding combined with a wide, flat band, references both American Federal detailing and 20th-century French neoclassicism. Above: Belden cabinetry, Kerr sink and color palette. The classical Belden range of cabinets, with its simple cove molding combined with a wide, flat band, references both American Federal detailing and 20th-century French neoclassicism. 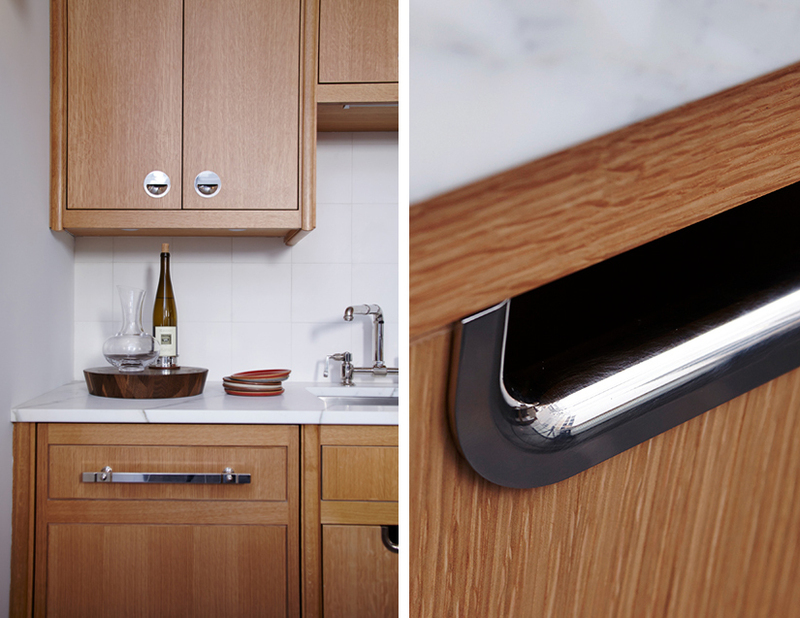 Above: Belden cabinetry and Kerr sink designed by Steven Sclaroff for Waterworks Kitchen. 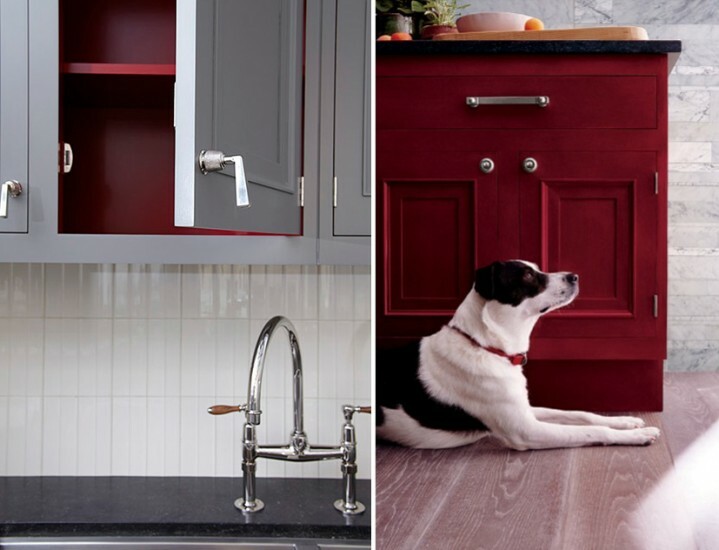 The classical Belden range of cabinets, with its simple cove molding combined with a wide, flat band, references both American Federal detailing and 20th-century French neoclassicism. Above: inspired by great American Studio Craft designs, Alta cabinetry, designed by Steven Sclaroff for Waterworks Kitchen, provides modern-day elegance in natural oak and walnut finishes. Clean lines and minimal detailing, mid-century elements with notable architectural and industrial influences. 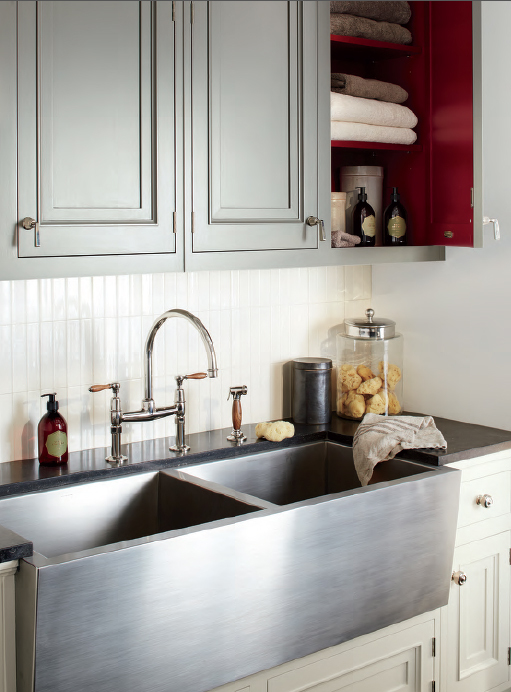 Above: Alta cabinetry and Kerr Farmhouse sink, designed by Steven Sclaroff for Waterworks Kitchen. 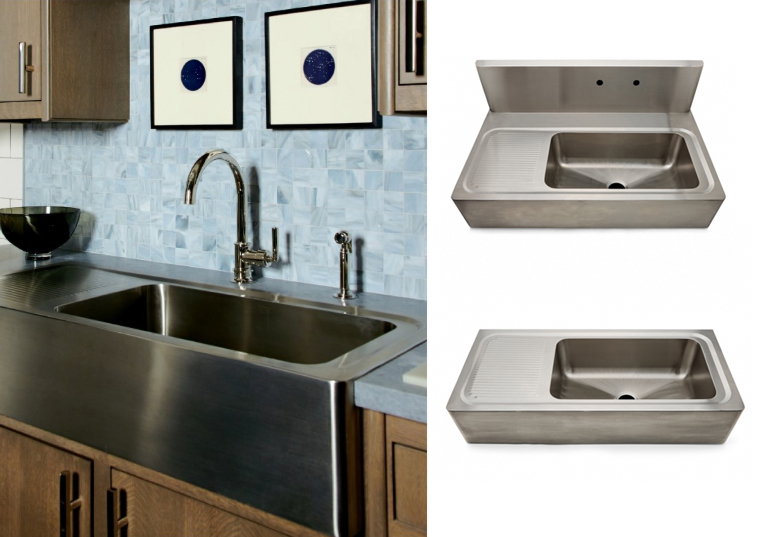 Above: Kerr Ranchhouse sinks, designed by Steven Sclaroff for Waterworks Kitchen. 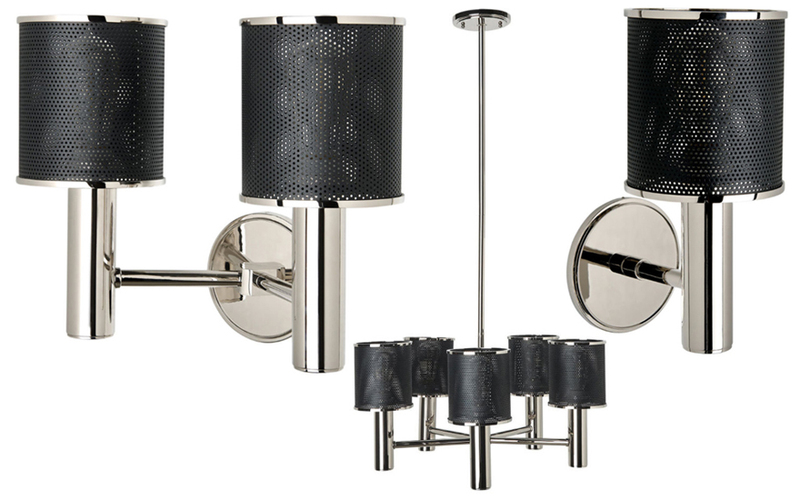 Above: Montecito sconce and pendant fixtures designed by Steven Sclaroff for Waterworks Kitchen. 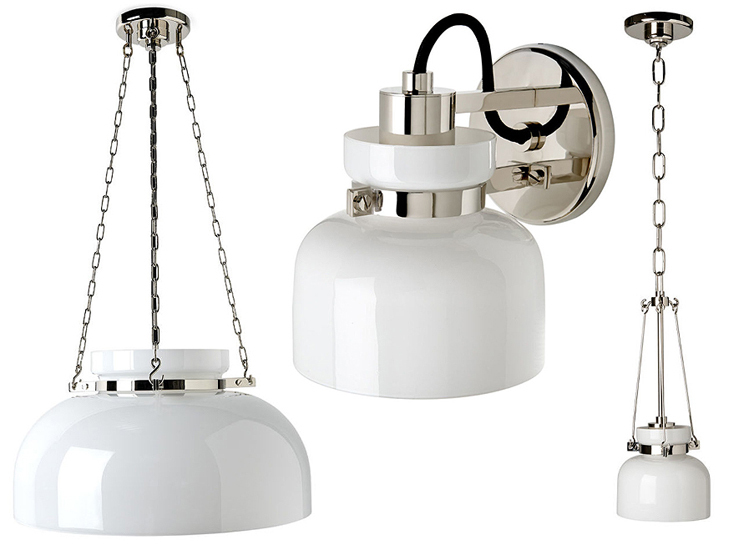 Above: Compass sconce and pendant fixtures designed by Steven Sclaroff for Waterworks Kitchen. Clear glass bell shades enclosed in woven brass cages that are held by knurled rings. 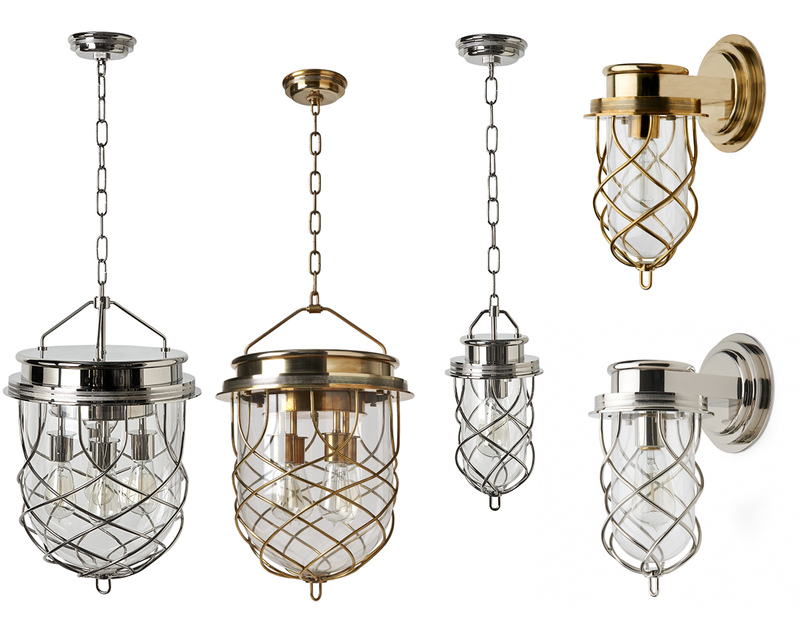 Rendered in solid brass these fixtures are inspired by vintage industrial safety lights. 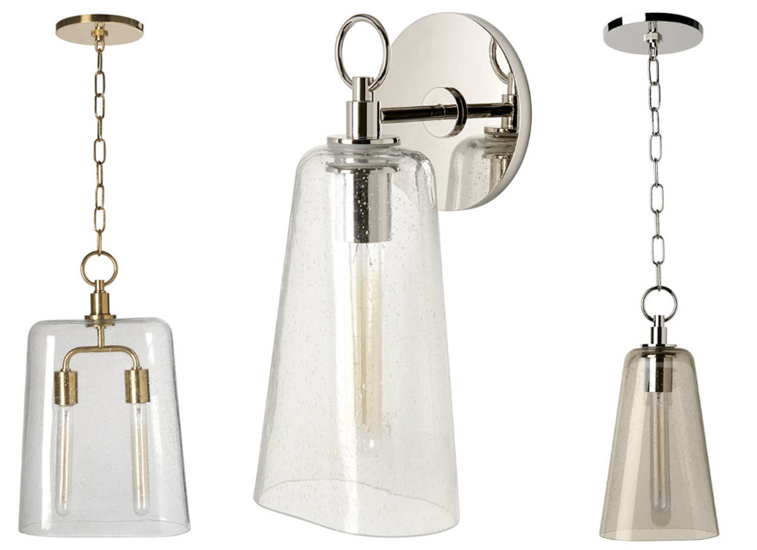 Above: Torrey sconce and pendant fixtures designed by Steven Sclaroff for Waterworks Kitchen. 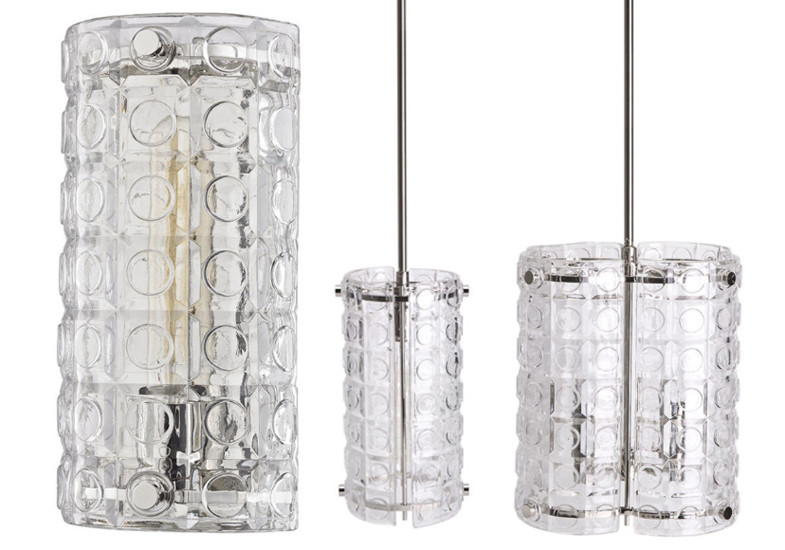 Above: Helio sconce and pendant fixtures designed by Steven Sclaroff for Waterworks Kitchen. 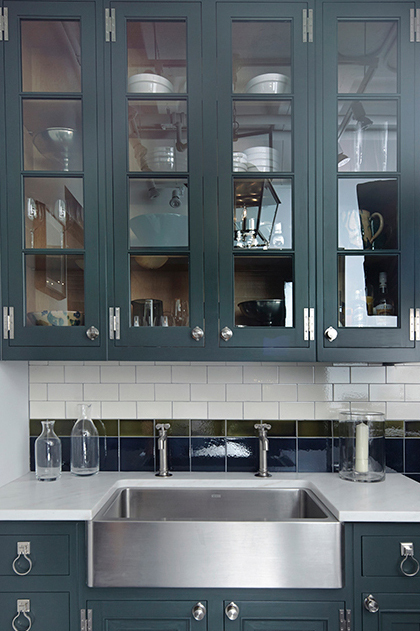 Above: Arundel sconce and pendant fixtures designed by Steven Sclaroff for Waterworks Kitchen. 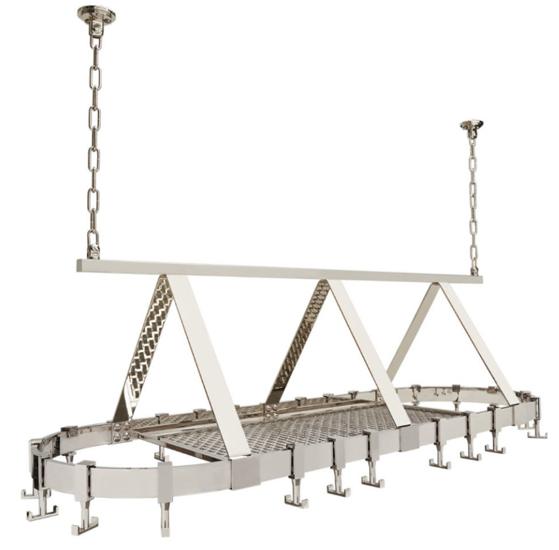 Above: Wells pot rack designed by Steven Sclaroff for Waterworks Kitchen. Evoking great, old wrought iron pot racks, but rendered in gleaming nickel, Wells combines clean lines and elegant curves with time-proven functionality. 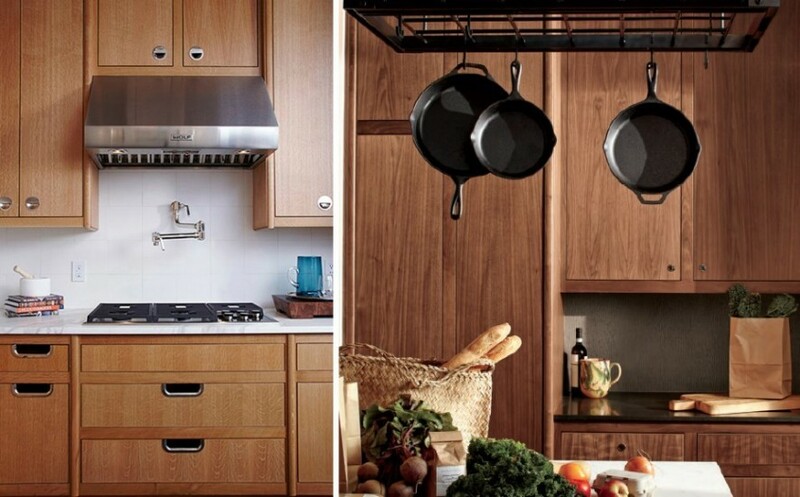 Above: Rutherford pot rack designed by Steven Sclaroff for Waterworks Kitchen. 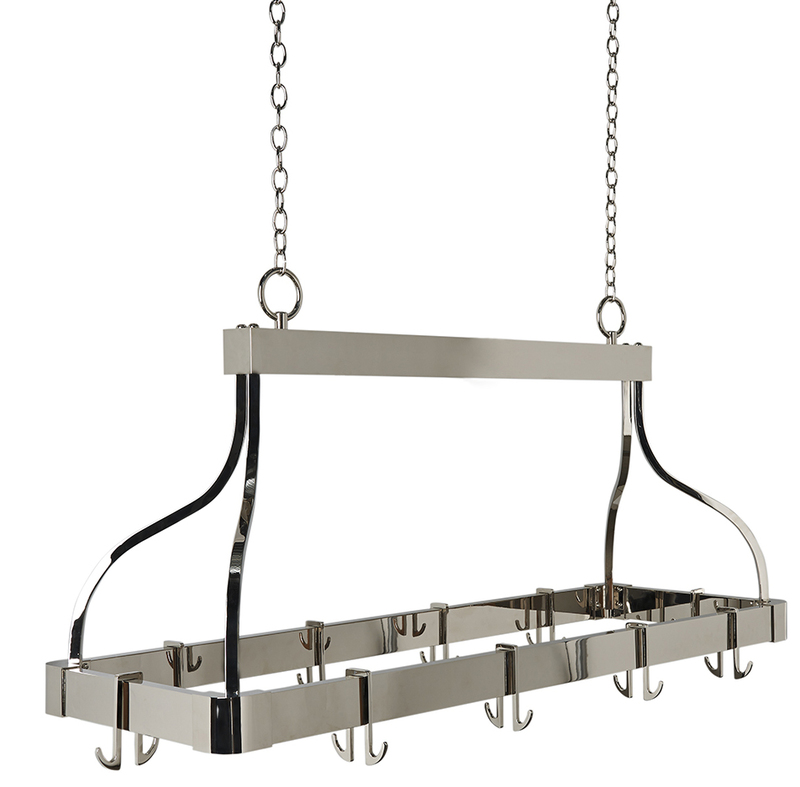 Fashioned after vintage railway brass luggage racks, the Rutherford maintains a modern appeal with its sleek geometric lines. 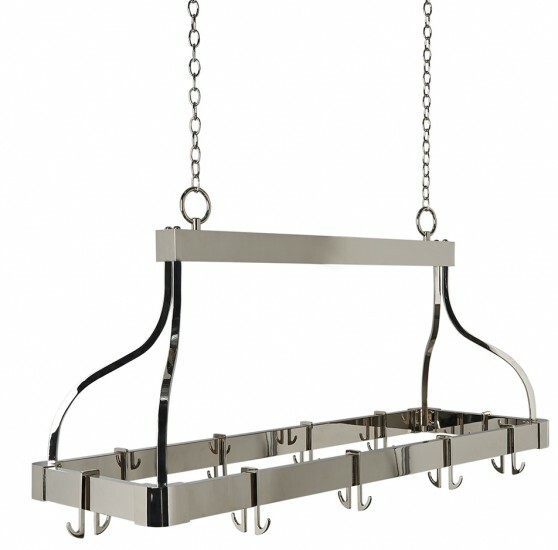 In addition to hooks for hanging kitchen tools, the Rutherford features a thatched metal rack for maximizing storage in small spaces. 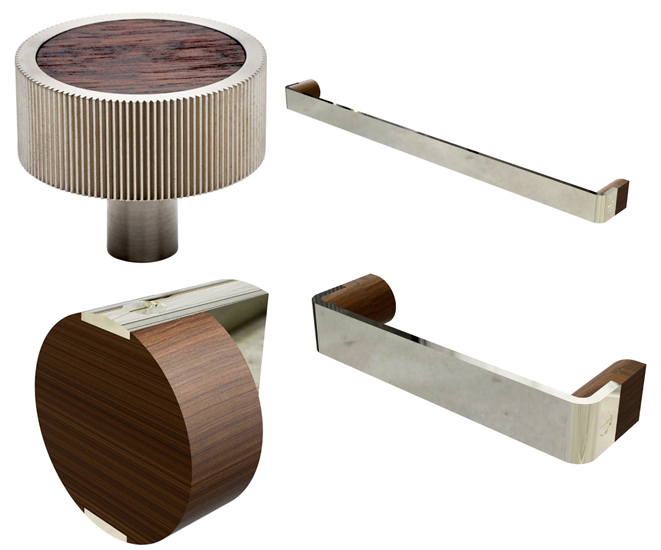 Stockton: The Stockton family of pulls combines hand-finished solid brass and solid walnut for a mid-twentieth century modern feel. Designed by Steven Sclaroff for Waterworks. At home in the mountains, by the sea or in an urban loft, Muir's solid walnut pairs with hand-finished solid brass to create a modern, casual effect recalling vintage modern artist-made furniture and jewelry. Designed by Steven Scalroff for Waterworks. 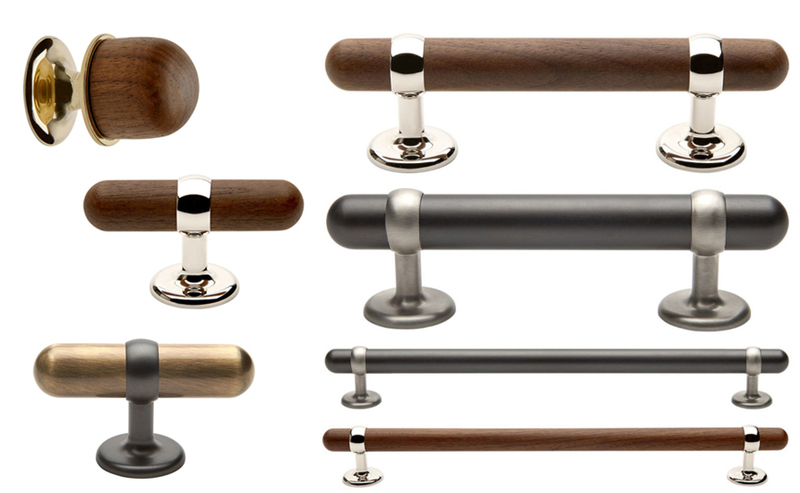 With broad and deep sculptural knurling, the Ojai knob and pull pleasantly reflect light off the surface and offer a unique tactile experience. Designed by Steven Sclaroff for Waterworks. 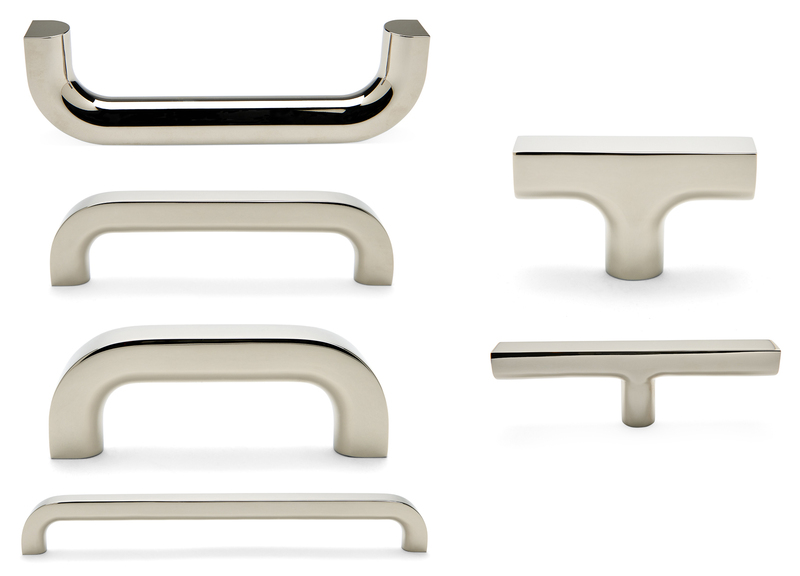 From left to right: Big Sur, Bolinas (round) and Laguna hardware designed by Steven Sclaroff for Waterworks Kitchen. Simple, clean and minimal, taking inspiration in equal parts from 20th Century Scandinavian and Industrial influences. 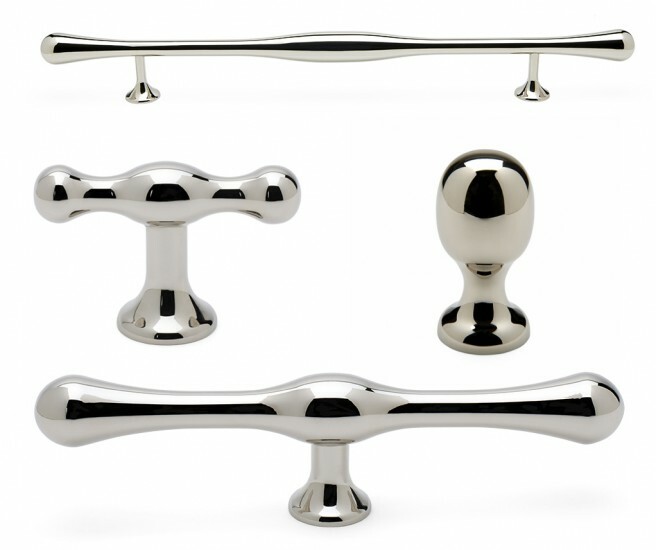 The Guilford pull evokes vintage, campaign-style hardware. 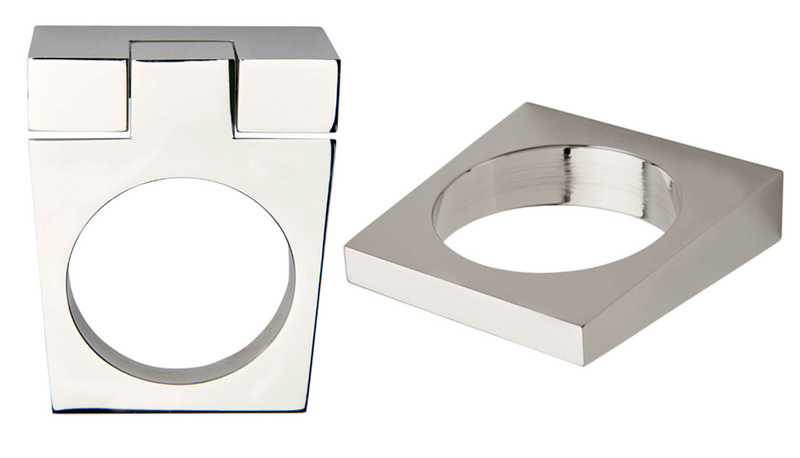 Its bold, larger scale and strong simplified shape are well-suited in contemporary living. Designed by Steven Sclaroff for Waterworks. Portsmouth: imbued with the spirit of fine American furniture hardware of the 18th century, this simple reinterpretation retains the heft and feel of the originals. Designed by Steven Sclaroff for Waterworks. Ridley: Reflective of fine furniture hardware, this drop handle retains a crispness only attainable with careful hand-finishing. 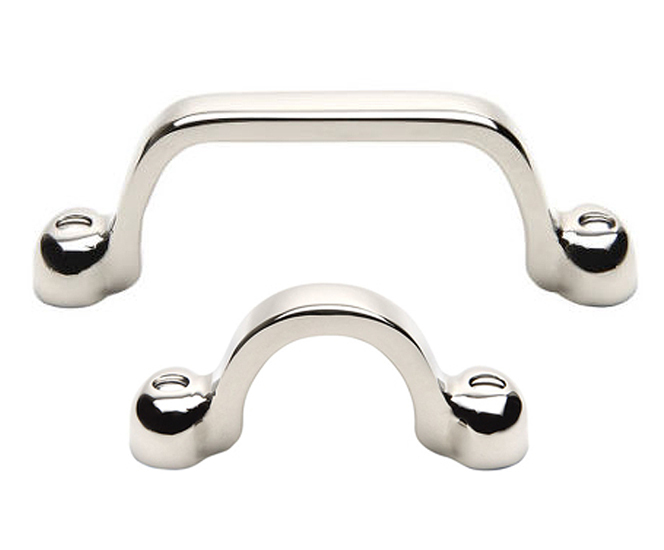 In three lengths, the largest of which may double as a towel bar. Designed by Steven Sclaroff for Waterworks. Redondo: Reminiscent of the warehouse pulls on an old notions cabinet, Redondo has been amped up in scale for modern use. 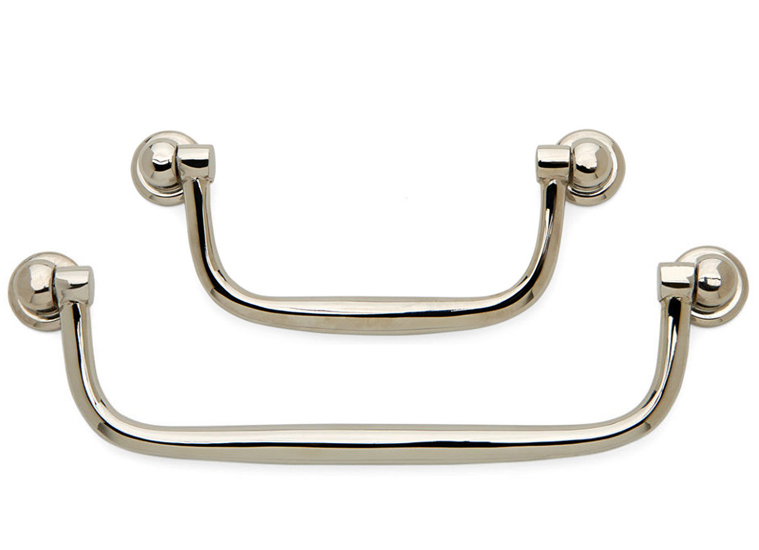 An arched pull with oval attachments and exposed screws hits a note of delicacy for the home. Designed by Steven Sclaroff for Waterworks. 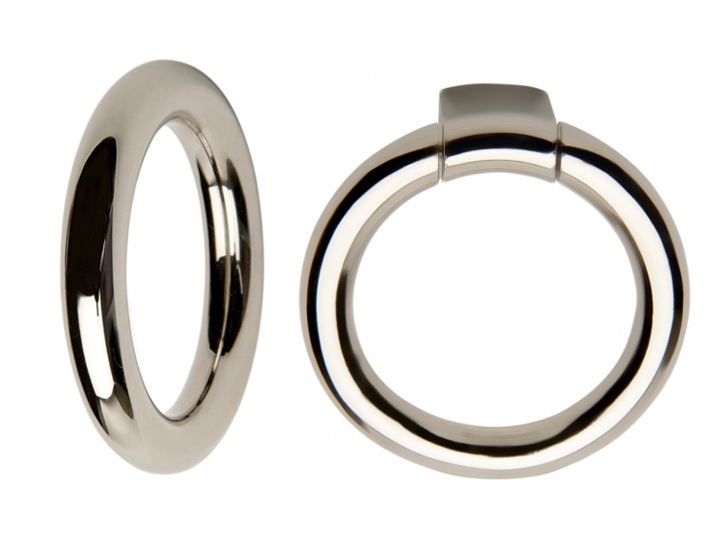 Elemental and sculptural, Arcata draws strength from its simplicity. 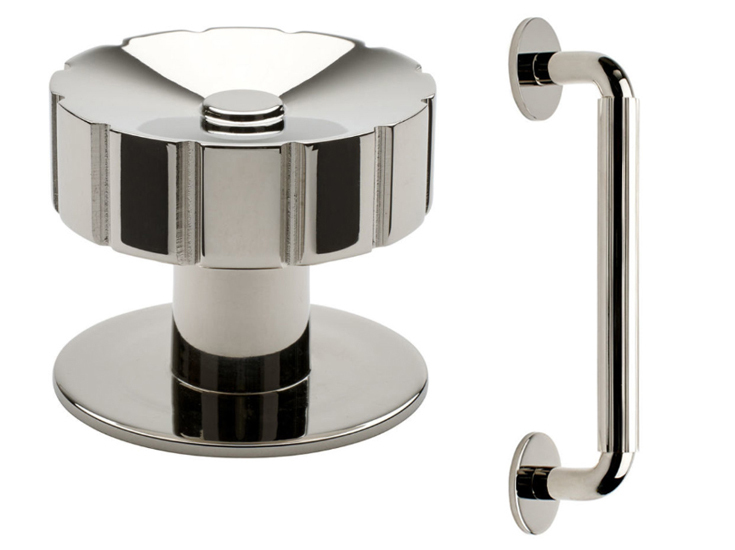 Fixed and dropped pulls are dramatically formed from a sturdy tapered slab of solid brass. Designed by Steven Sclaroff for Waterworks. Pomona: A nautical feel inspired by boat hardware details, such as mooring eyes and deck hinges, gives Pomona its strength. Designed by Steven Sclaroff for Waterworks. 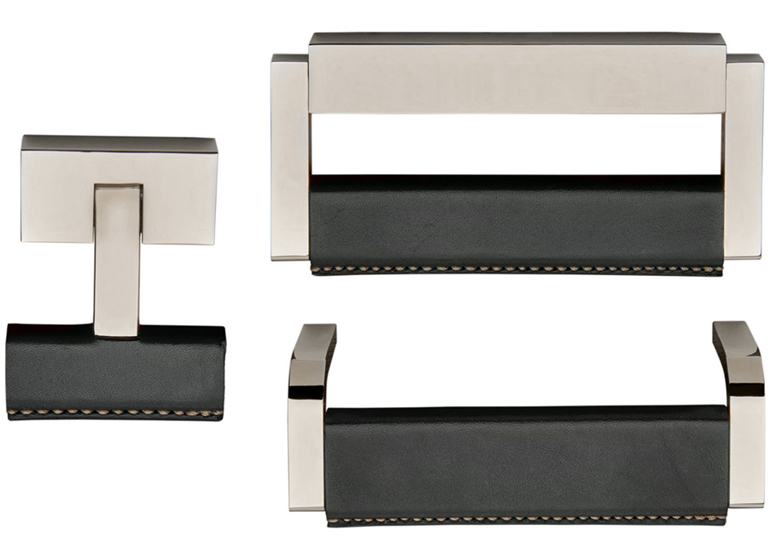 Above: Minimally executed in solid brass, the Dillon pull is inspired by artisanal furniture of the 1950s and 1960s. 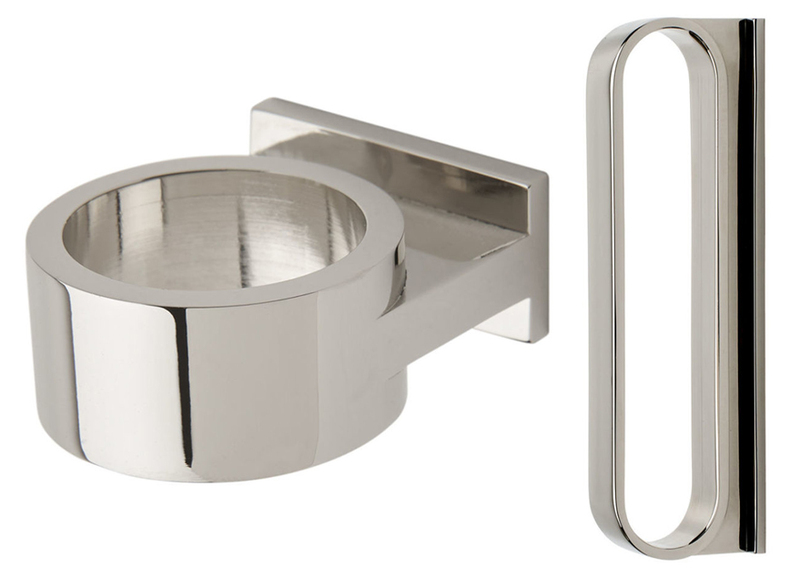 The Larkspur t-pull has a bold, geometric shape; it evokes the simple-yet-graphic design of minimalist mid-twentieth century furniture hardware. 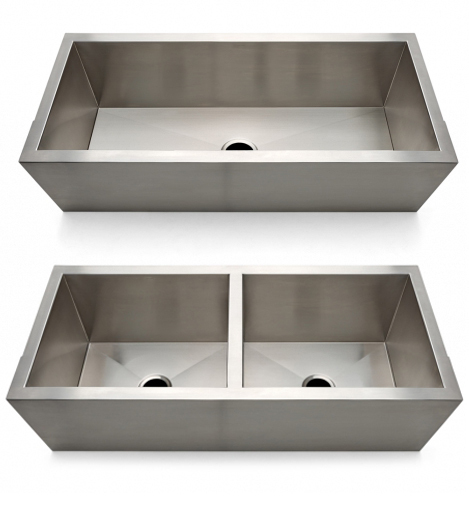 Designed by Steven Sclaroff for Waterworks Kitchen. 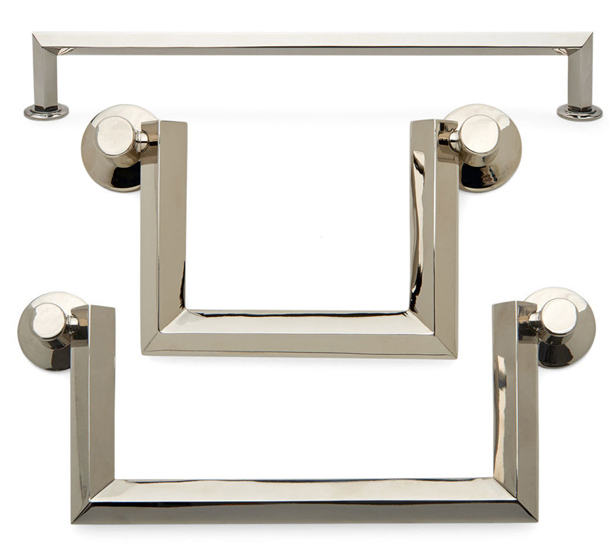 Echo Park takes its substantial but simple geometric forms from vintage industrial pulls. 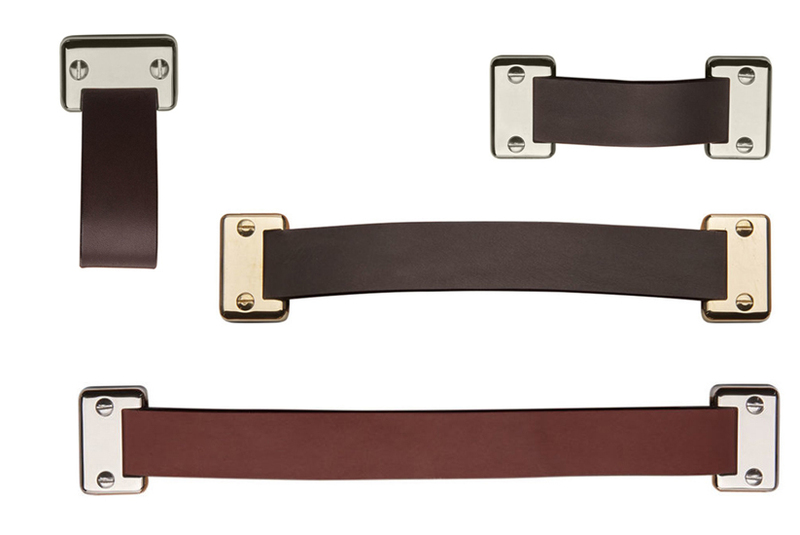 Finely hand-finished solid brass hardware celebrates the original design in a modern and tailored way, warmed by the hand-wrapping and stitching of Italian leather to the handles. Designed by Steven Sclaroff for Waterworks. Abbott takes the classic, minimal mid-century wire pull to a new level. 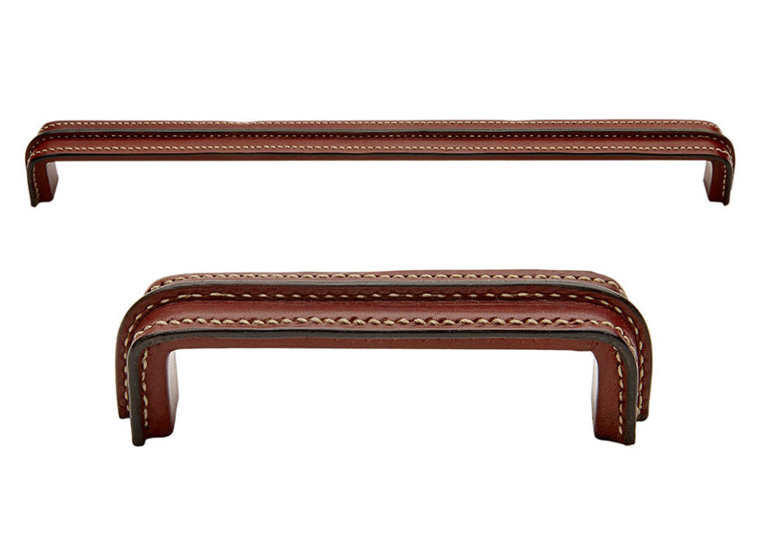 Featuring solid brass, hand-wrapped in thick Italian leather with bold stitching. This basic finishing touch is understated yet detailed. Designed by Steven Sclaroff for Waterworks. 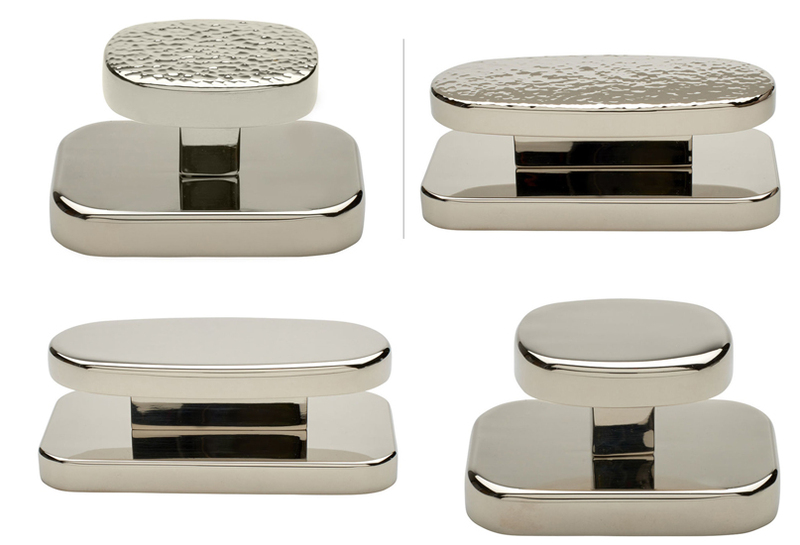 Recalling a touch of '40s glamour and classic equestrian vibe in its hand-stitched Italian leather and solid hand-polished brass, Fallbrook drop pulls and knobs lend a rich, enduring appeal to modern and transitional rooms. Designed by Steven Sclaroff for Waterworks. Rockport: a timeless combination of comfortable function and thoughtful detail. 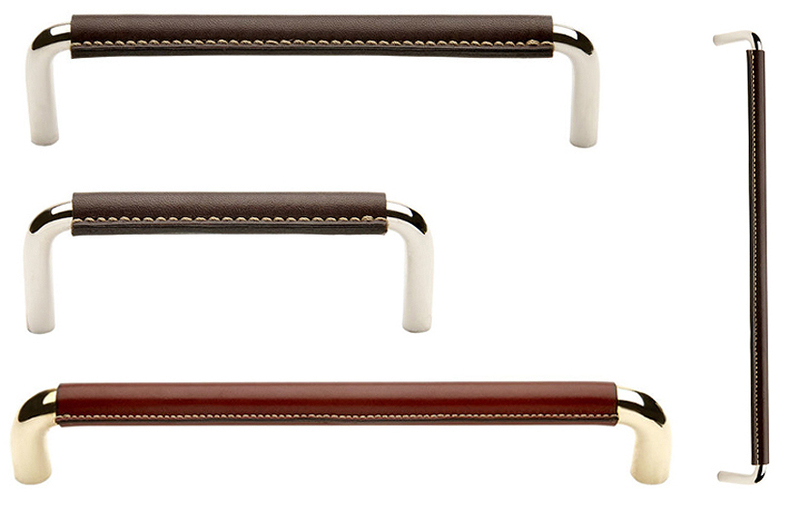 Pulls features saddle-stitched Italian leather handles secured with slender, hand-polished, solid brass hardware. Designed by Steven Sclaroff for Waterworks. 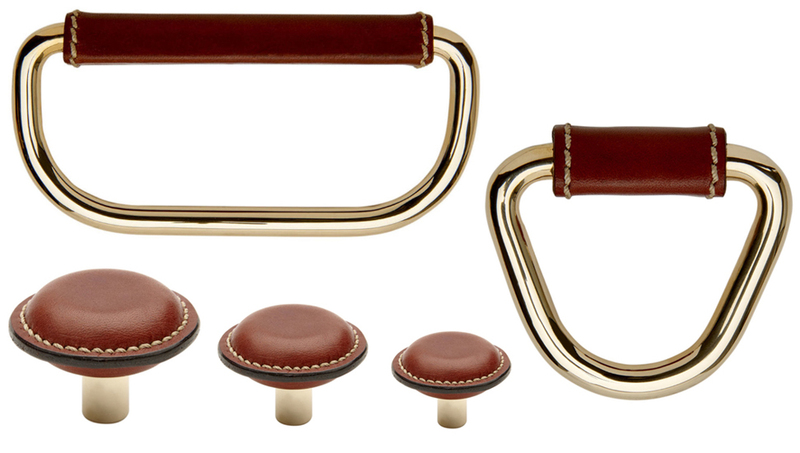 Wilshire: Strap pulls and handles in hand-finished solid brass with fine Italian saddle leather feature exposed screws and soft rounded edges. Designed by Steven Sclaroff for Waterworks. Like the steering wheel and gear shift knob of an Italian sports car, Riverside is sporty, pleasing to hold and well proportioned. Pulls are fully clad in hand-stitched Italian leather. Designed by Steven Sclaroff for Waterworks. 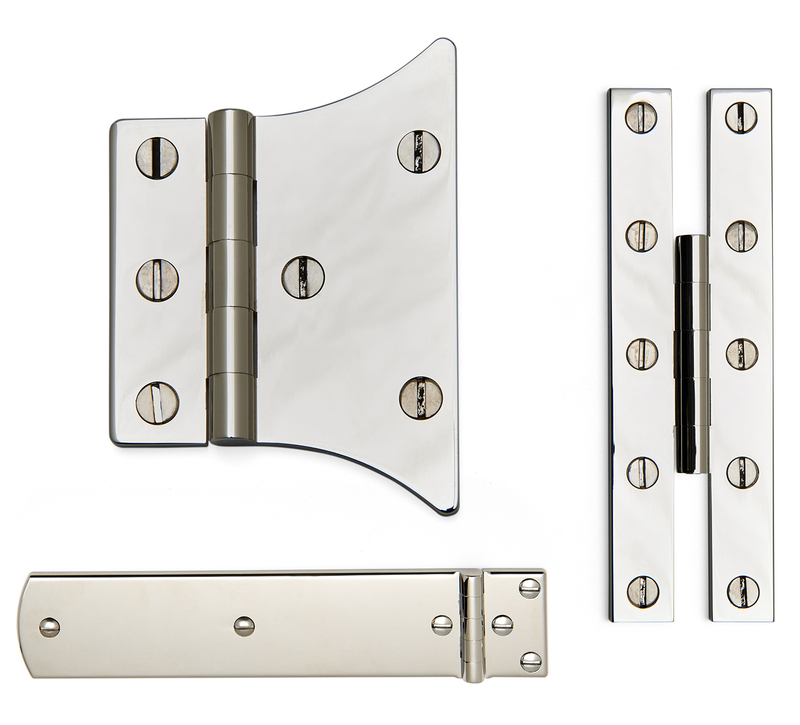 Clockwise from left: designed by Steven Sclaroff for Waterworks Kitchen, the Salem butterfly hinge is a twist on the classic, sized to work perfectly with today's millwork standards. The Harpswell hinge combines refined craftsmanship and careful engineering for strength. 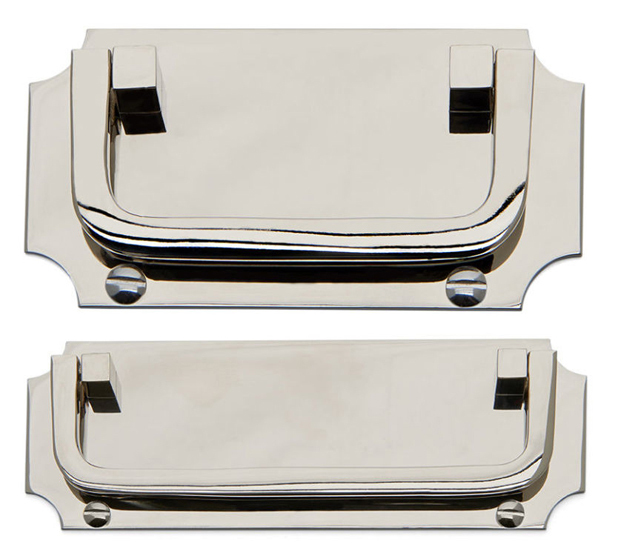 The Boothbay strap hinge (horizontal) is a refined reinterpretation of early 20th Century ice box hinges. 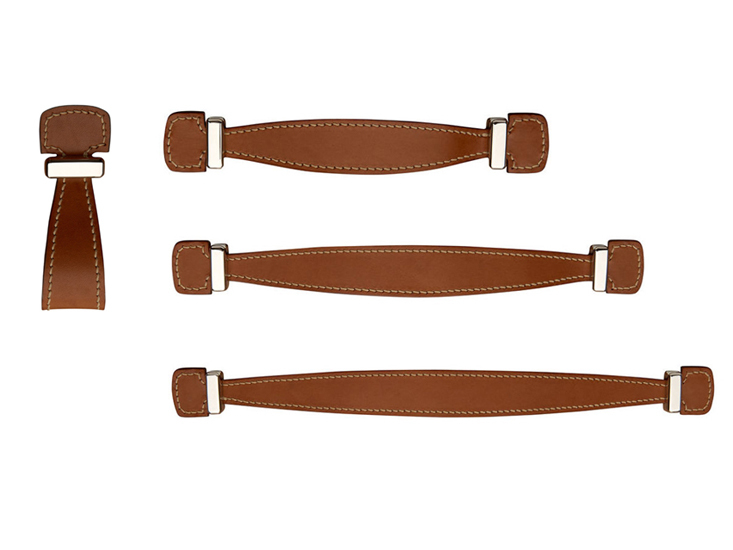 The concealed attachments give it a modern feel. 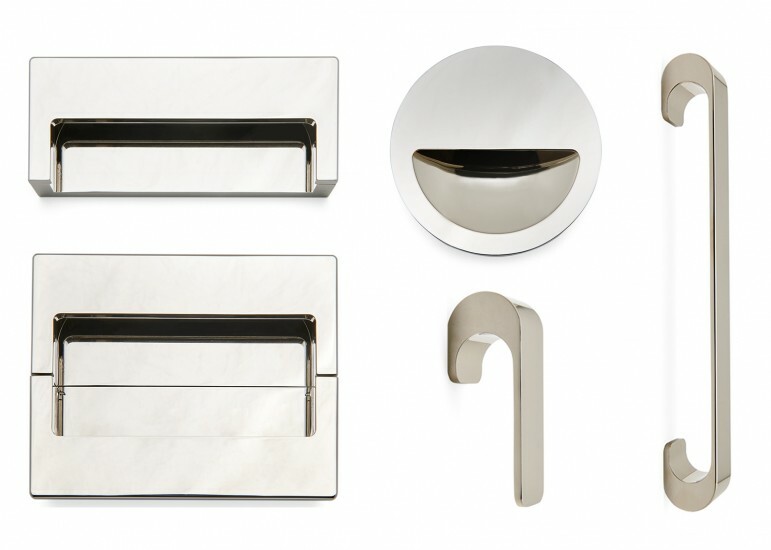 Above: Cushing hardware designed by Steven Sclaroff for Waterworks. Cushing t-pull and knob are strong, sculptural interpretations of early 20th Century machinery handles. Above: Tremont hardware designed by Steven Sclaroff for Waterworks. 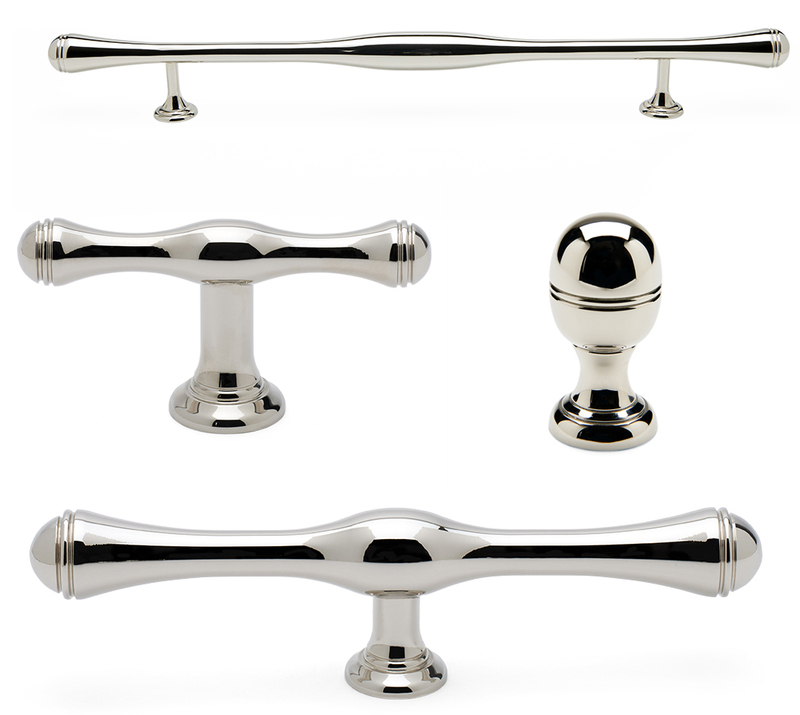 Tremont t-pulls and knobs combine functional, vintage and industrial forms with refined reeding. 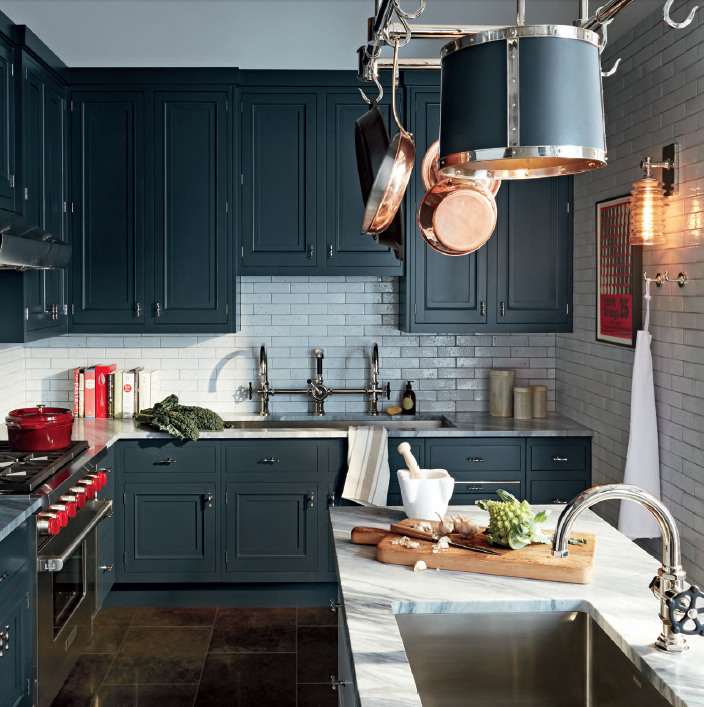 Steven Sclaroff was engaged by Waterworks to launch the kitchen category. He designed cabinetry, hardware, sinks and lighting, collaborated on color and materials palettes, and designed new Waterworks Kitchen showrooms in New York, Chicago and Georgetown.